You'll get in some beach time at Fort Funston National Park and Sonoma Coast State Beach. Head to Union Square and City Lights Booksellersfor plenty of shopping. The adventure continues: wander the streets of Fisherman's Wharf, cast your line with a fishing tour, kick back and relax at Baker Beach, and step off the mainland to explore Alcatraz Island. For where to stay, traveler tips, other places to visit, and other tourist information, read our San Francisco tour itinerary builder tool . Sao Paulo, Brazil to San Francisco is an approximately 18.5-hour flight. You can also do a combination of bus and flight. Due to the time zone difference, you'll gain 5 hours traveling from Sao Paulo to San Francisco. Expect a daytime high around 26°C in August, and nighttime lows around 17°C. Wrap up your sightseeing on the 7th (Sat) early enough to drive to Monterey. Monterey is a city in the U.S. 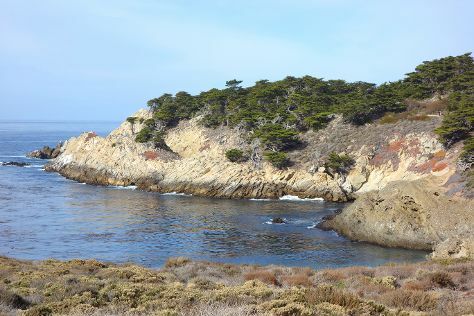 Kick off your visit on the 7th (Sat): get to know the fascinating history of Cannery Row, appreciate the extensive heritage of Pacific Grove Oceanview Boulevard, and then immerse yourself in nature at Point Lobos. Keep things going the next day: get up close to creatures of the deep with a dolphin and whale watching tour. To see reviews, maps, other places to visit, and more tourist information, go to the Monterey trip planner . Traveling by car from San Francisco to Monterey takes 2.5 hours. Alternatively, you can fly; or do a combination of train and bus. In September, daytime highs in Monterey are 26°C, while nighttime lows are 15°C. Finish up your sightseeing early on the 8th (Sun) so you can go by car to San Luis Obispo. San Luis Obispo, or SLO for short, is a city in the U.S. On the 9th (Mon), get interesting insight from Tours, admire the architecture and history at Mission San Luis Obispo de Tolosa, then examine the collection at Morro Bay State Park, and finally explore the striking landscape at Morro Rock. To see other places to visit and more tourist information, use the San Luis Obispo tour itinerary planning app . Drive from Monterey to San Luis Obispo in 2.5 hours. Alternatively, you can take a bus; or take a train. Traveling from Monterey in September, you will find days in San Luis Obispo are somewhat warmer (33°C), and nights are about the same (16°C). Wrap up your sightseeing on the 9th (Mon) to allow time to drive to Santa Barbara. To find traveler tips, maps, and other tourist information, go to the Santa Barbara online driving holiday planner . Getting from San Luis Obispo to Santa Barbara by car takes about 2 hours. Other options: take a bus; or take a train. In September in Santa Barbara, expect temperatures between 30°C during the day and 17°C at night. You'll set off for Los Angeles on the 10th (Tue). Your itinerary includes some good beach time at Venice Beach and Boardwalk and Santa Monica State Beach. Step out of the city life by going to Santa Monica Mountains and Oak Canyon Nature Center. 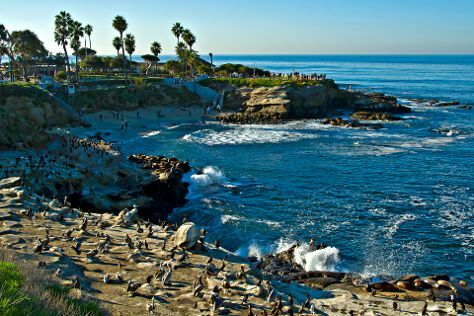 You'll find plenty of places to visit near Los Angeles: Dolphin & Whale Watching (in Dana Point), Santa Monica (Montana Avenue, Third Street Promenade, & more) and Anaheim (The Disney Gallery, Disneyland Park, & more). Pack the 17th (Tue) with family-friendly diversions at Universal Studios Hollywood. 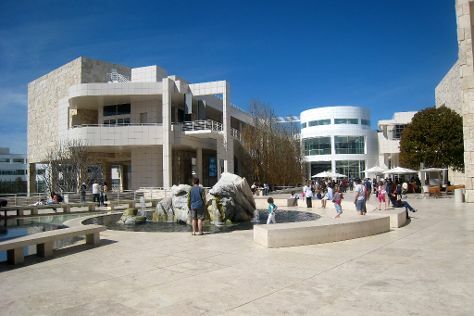 There's lots more to do: see the interesting displays at The Getty Center, look and learn at Griffith Observatory, take an in-depth tour of Autry Museum of the American West, and take a leisurely stroll along Santa Monica Pier. To see photos, more things to do, traveler tips, and other tourist information, you can read our Los Angeles trip maker . You can drive from Santa Barbara to Los Angeles in 2 hours. Other options are to take a bus; or take a train. Traveling from Santa Barbara in September, expect Los Angeles to be somewhat warmer, temps between 34°C and 22°C. Cap off your sightseeing on the 22nd (Sun) early enough to go by car to San Diego. USS Midway Museum and Marston House Museum are good opportunities to explore the local culture. Give yourself a bit of retail therapy at Gaslamp Quarter and Spanish Village Art Center. Go for a jaunt from San Diego to Alpine to see Lions, Tigers & Bears about 1 hour away. There's lots more to do: tour the pleasant surroundings at La Jolla Cove, sample the tasty concoctions at Societe Brewing Company, stroll the grounds of Fort Rosecrans Cemetery, and immerse yourself in nature at Torrey Pines State Natural Reserve. To find more things to do, ratings, and tourist information, read our San Diego trip builder app . Getting from Los Angeles to San Diego by car takes about 2.5 hours. Other options: take a bus; or fly. While traveling from Los Angeles, expect a bit cooler days and about the same nights in San Diego, ranging from highs of 30°C to lows of 23°C. 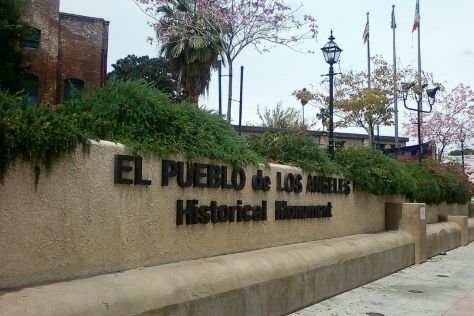 On the 28th (Sat), you'll have the morning to explore before heading off to Los Angeles. Take the guesswork out of planning a Los Angeles vacation by using our trip itinerary maker. Traveling by car from San Diego to Los Angeles takes 2.5 hours. Alternatively, you can take a bus; or fly. While traveling from San Diego, expect somewhat warmer days and about the same nights in Los Angeles, ranging from highs of 34°C to lows of 22°C. Wrap up your sightseeing on the 28th (Sat) early enough to travel back home.